We are instrumental in offering wide range of Tata DG Sets. 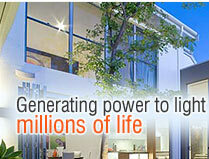 We offer generators which are reliable in nature. 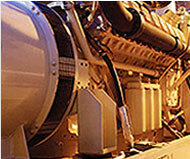 Our generators are best in performance and widely appreciated in the market. Ease of Access and Serviceability. Aesthetically designed, weather and sound resistant enclosure. Specially Designed to meet the stringent and latest MoEF / CPCB II norms of less than 75 dBa at 1 meter at 75 % load under free field conditions. State of the art Acoustic Enclosures with UV resistant powder coating can withstand extreme environments. Ease of handling with appropriately located center lifting hooks. Single Lifting arrangement for easy shifting. Inbuilt Silencer up-to 75kVA, above 75kVA Silencer Comes with Bird Protection. Practically located fuel filling point. 2/3 pitch winding alternator for better handling of harmonic and un-balanced load. Brushless Type and Class H insulation. 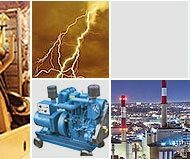 Kirloskar Electric / Stamford/Crompton Greaves Alternators. Self-excited, self-regulated Single Bearing, Brushless & Continuous Duty. TATA Engine: Low emission, high efficiency engines. Compact, Robust and Rugged Design. 500 hours or 6 months which ever is earlier' lube-oil change period..
Air Filter Choke Indication provided. Starter Motor with thermal Cut Off in case of over starting. Tried and Tested by many of the worlds renowned DG Sets Manufactured in India and Worldwide like Cummins, Kohler and even Kirloskar Electric. Complies with CPCB II Norms and are in compliance with norms which are yet to come in 2018. Engine from India's	Largest	Diesel	Engine Manufacturer..
LCD Fault and DG Set Parameters display screen..
Best in class DG Set Monitoring and Protection features. Available as Automatic and Semi-Automatic. State of the art silent Generator Designs with UV Resistant Powder Coating. Smallest Footprint giving an edge to optimize your valuable space. Convenient access points of maintenance, replacement and overhaul. 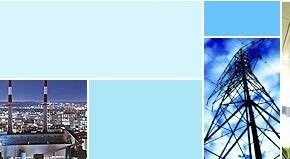 Annual maintenance contract through our responsive service network. Microprocessor based digital Generators Control Unit (GCU). Auto Start & Stop feature. Fuel Water separator to safeguard engine. TATA Powered Diesel Generators meets stringent exhaust emission tests as per MOEF norms without sacrificing fuel efficiency at normal operating loads. 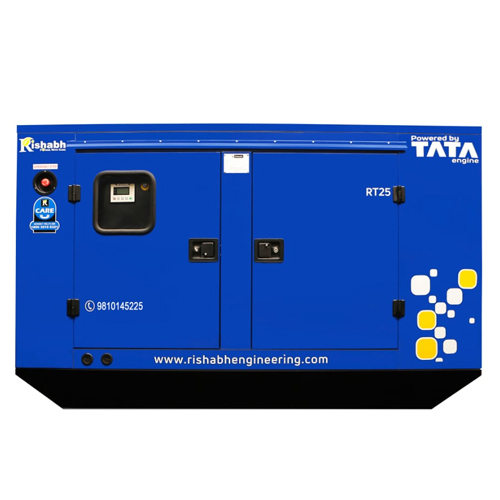 Gensets available with the lowest noise level & as per latest CPCB 2 norms. 500 Hours of preventive maintenance interval. TATA Engines are designed for automotive applications to run up to 5000 RPM. Designed to run at 45°C ambient temperature. Highest Total Displacement (CC) of engine in its class. Single point lifting arrangement suitable for rental and Infrastructure segment customers. Genuine parts available across country at very competitive price. Least fuel consumption in its class. Widest Service Network- Three tier service across country.